JJ Lin Junjie recently appeared in Taiwan to promote his new mini movie "Dreams come true <梦想10献>". The Singaporean artiste wore a beautiful lame' and satin jacket from DSquared2. 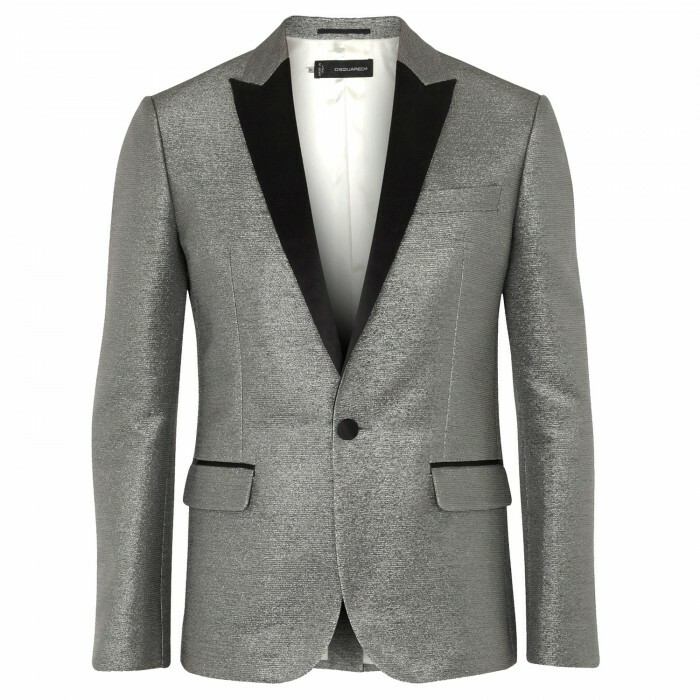 He turned the lapels up and paired it with slim fitted trousers and black lace-ups. A very cute look, I tend to turn up the lapels of my jacket too. He looked great on the red carpet, a very clean-cut wholesome image which we don't usually see from the US or Europe. You can shop the DSquared lame' and satin jacket online from Luisa Via Roma. the blazer is gogeous. the girl is cute, but that's also my issue with Asian pop: they mostly go with the cutie pie image. one might get diabetes with all that sweetness! I'm sorry to say that for all our superstars but Asian celebrities are born to wear high fashion.